ProBuilder is a Unity asset that Unity bought and incorporated into the 2018 version of Unity. ProBuilder simplifies creating 3D levels. Unity’s instructions on installing ProBuilder are a little vague so I’m writing this post on how to get started with ProBuilder using Unity 2018. Start by creating a new project using the 3D template. ProBuilder works only with 3D projects. After creating your project you must add ProBuilder to the project. Choose Window > Package Manager to open the package manager window. Click the All button in the top left portion of the window to show the available packages to install. Select ProBuilder from the list of packages. The right side of the window contains a description of the ProBuilder asset. Click the Install button to add ProBuilder to your project. To start using ProBuilder, open its window by choosing Tools > ProBuilder > ProBuilder Window. The easiest way to start is to click the New Shape item in the ProBuilder window. Choose a shape from the Shape Selector menu. A plane is a good choice for your first shape. It lets you place the ground for a player character to walk on. Cubes are good for building walls. 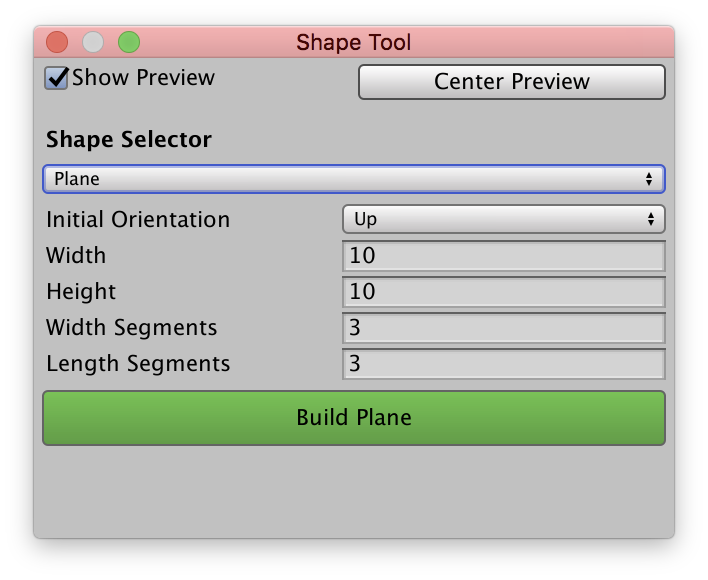 When you choose a shape from the Shape Selector menu, the Shape Tool window provides controls to customize the shape. Most shapes have controls to set the size of the shape. Click the green Build button at the bottom of the Shape Tool window to add the shape to your scene. If you want to create a shape that’s not in the Shape Selector menu, use ProBuilder’s Poly Shape tool. 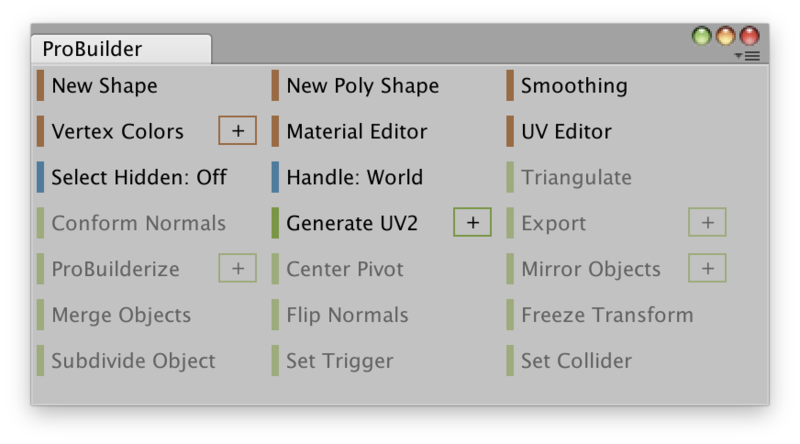 Click the New Poly Shape item in the ProBuilder menu. The first step to creating a poly shape is to build the surface of the shape. 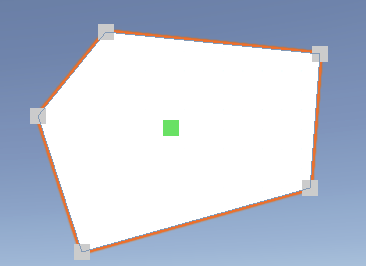 Click inside the scene to create a vertex for the surface. Select a vertex and drag to change its position. 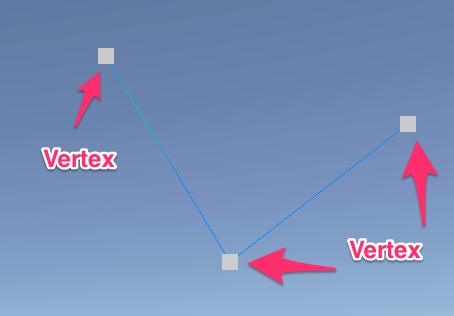 Continue to click to create vertices, making sure to eventually connect them. Once you connect the vertices, ProBuilder creates the surface. After ProBuilder creates the surface, move the mouse up or down to change the shape’s height. Go to Unity’s ProBuilder page to learn more about ProBuilder and watch video tutorials about it.